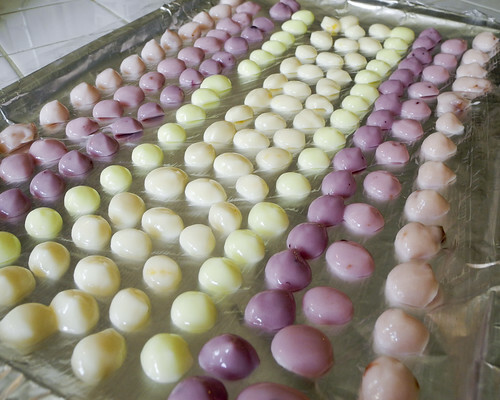 I’ve seen these frozen yogurt drops for years on Pinterest. 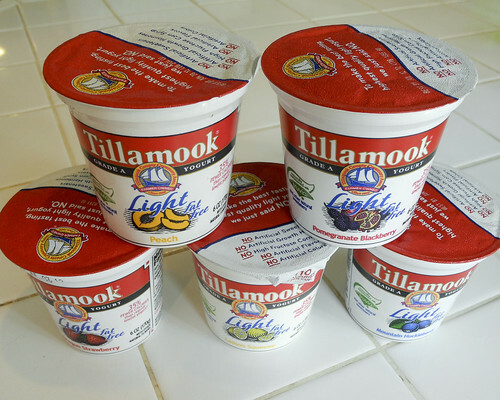 I was very excited when I got to try Tillamook Light Yogurt because I knew I would have to make the healthiest frozen yogurt drops on the block! 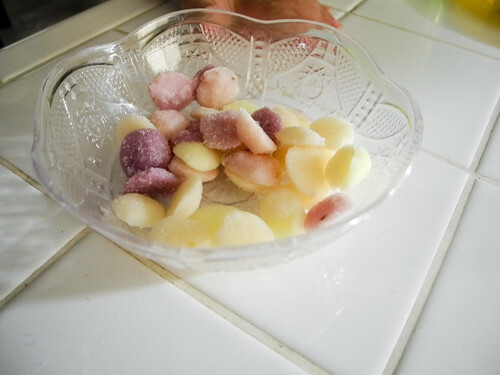 Not only that but with all the fun flavors I was able to make Rainbow Frozen Yogurt Drops! I first picked out my yogurts by color (just as I did with the Rainbow Yogurt Parfait). 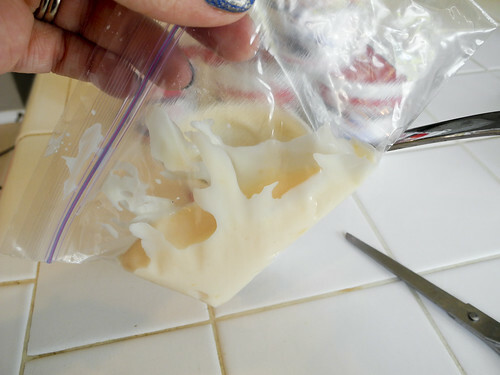 Fill your bag with yogurt and cut the corner out of the bag. 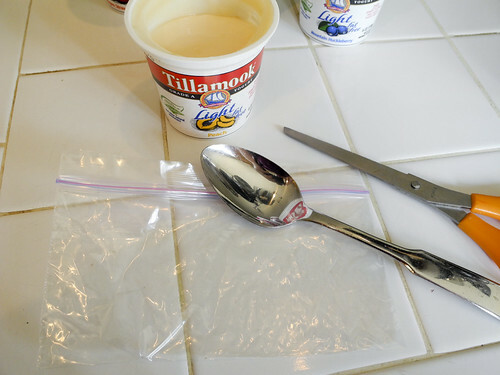 Cover your cookie sheet with plastic wrap. 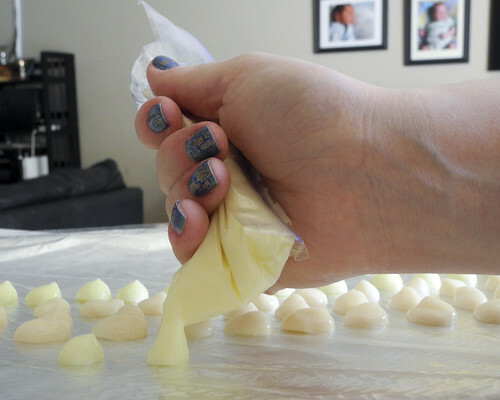 Squeeze small dollops of yogurt on the cookie sheet. The yogurt holds it shape pretty well. You don’t have to do rainbow but it makes it even more fun! 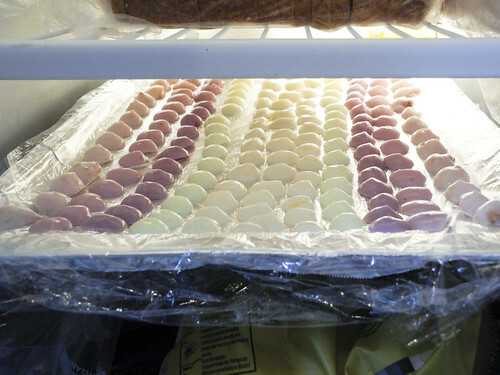 Place them in the freezer to flash freeze – they take an hour or two at the most to freeze. Beware of sneaky little boys who may try and grab up your left over yogurt! When they are frozen just peel them off the saran wrap (quickly) and place in the freezer to enjoy anytime! 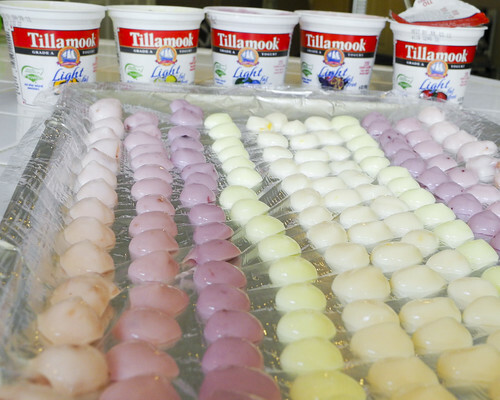 What is your favorite way of eating yogurt? Thanks for your blog its more interesting and got idea on how to make a frozen yogurt. Keep on posting here. I just love these Pepper! If you try making them let me know what you think of them! 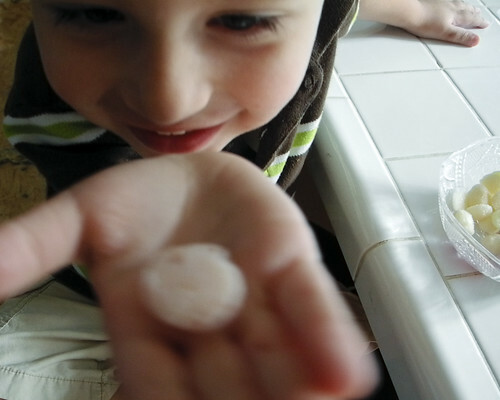 This treat is one of my daughter’s favorites. We add a little vi shake mix to it, and it gives it even more nutritional value (and added protein!) so simple and yummy!! great pics too! That’s an awesome idea Jackie – I may have to do that next time. So excited to try it!! Oh wow these look like much fun and yummy too! I have to give these a try and soon. What a great idea Pepper! 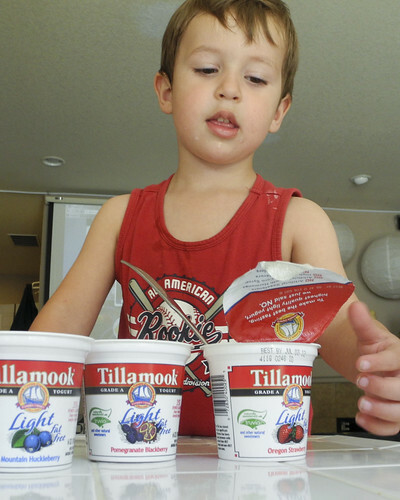 We love yogurt around this house and I know my daughter will love them too. I love yogurt so much and these would be a fun way of getting in my daily yogurt! 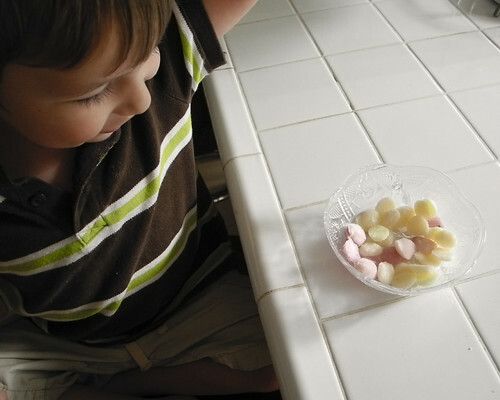 The kids like yogurt and they would have so much fun with these. Thanks for sharing! Omg, omg, just love this idea and recipe x a million. So colorful, fun, easy and definitely going to make them.